New Bajaj Avenger is going to come to India in 2020. The new cruiser series will come with a new range of Pulsars, as confirmed by Rajiv Bajaj himself. Currently, the Avenger series consists of Street 180, Street 220 and Cruise 220. Bajaj Avenger is the cheapest cruiser series in India. Since 2005, Avenger has been one of the popular touring bikes in India. The latest generation Avenger was launched in 2015 with 2 options – Street and Cruise. While the Street series gets a black colour treatment all over the bike to make it look a street bike, the Cruise looks elegant with chrome details and subtle colours. Not much has changed with the Avenger series since the first one came. 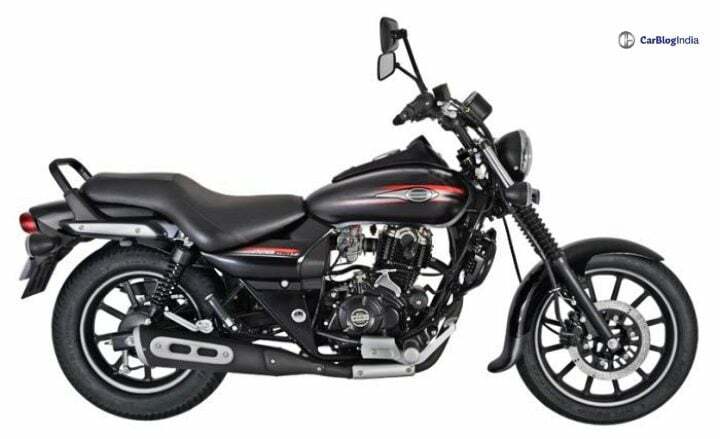 Now, recently, Rajiv Bajaj, MD of Bajaj Auto has revealed that new generation Bajaj Avenger series is going to launch in 2020. Along with Avenger, new Pulsar series is going to launch too. Earlier, the Bajaj Avenger used to come only in one variant with two engine options – 150cc and 220cc. The earlier ones were plain with chrome inserts and dull colours. Still, it remained a blockbuster. The current generation got all modern with DRLs, heavy body graphics, digital speedometer and more. So, in the new Bajaj Avenger series, we expect a similar type of update. So it means that Avenger is going to get more modern. But it should maintain its original charming look. Probably, the new Bajaj Avenger will get feature updates, which include fully digital instrument cluster with fuel gauge, odometer, tachometer and speedometer as standard fitment. It could get full LED headlamps, rear disc brake, dual-channel ABS, mobile connectivity to the speedometer and some bits more. But that’s not all that the new Bajaj Avenger will get. It will also get a BS-VI petrol engine with the new update. Once the new emission norms kick in after 2020, all the bikes will have to either get BS-VI compliant engines or stop the production of the bike. We also expect the engine in the new Bajaj Avenger series, to be re-tuned for better performance. The Avenger series will mostly continue with the same variants and same engine specifications. Currently, it gets two engine options. The 173cc engine produces 15 BHP of power and 13.7 Nm of torque. The 220cc engine produces 19 BHP of power and 17.5 Nm of torque. Both the engines come mated to a 5-speed manual transmission. The mileage estimated on the Avenger Street 180 is around 37 kmpl and on the 220cc bikes is around 32 kmpl. Currently, the Bajaj Avenger series starts from Rs 86,829 and it goes up to Rs 95,923 (ex-showroom New Delhi). At this price, it remains the cheapest option till now competing against the likes of mighty Royal Enfield bikes and Suzuki Intruder.